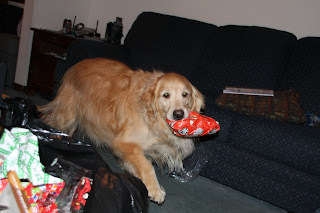 I love the picture of your dog running with the gift. 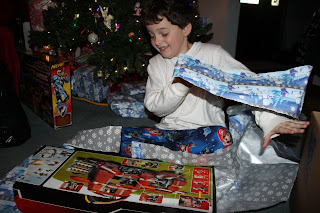 Ryan looks like he had a great Christmas! 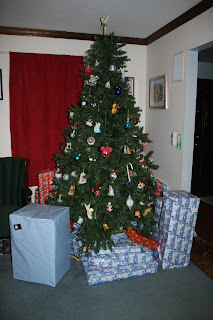 what is that big gift? He looks awake and happy. Oh i see now, it is the trikke like Sammy's. We also got the long shot last year and Sammy loves it. That big box is cool with the red toy. I have never seen that before. 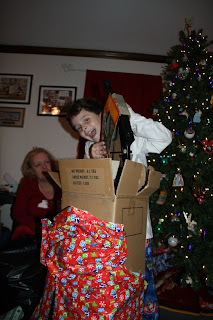 the big gift was a bow and arrow, and also a large lego set.